Will Guardiola leave Manchester City? 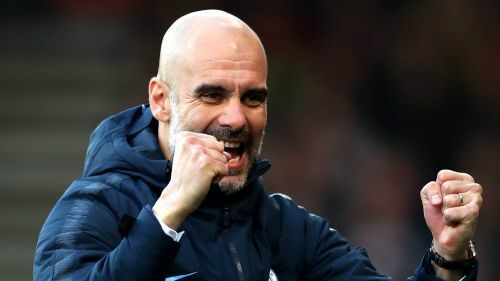 Pep Guardiola has reportedly reached a "verbal agreement" with Juventus to replace Massimiliano Allegri, reported Express quoting II Giornale. Massimiliano Allegri, who has a contract at Juventus till June 2020, may decide to pursue a new challenge elsewhere. Juventus are on course to win Serie A for the eighth consecutive season. Pep Guardiola, has a contract with the English champions until 2020-21 and has won league titles in Spain, Germany, and England. Manchester City broke the Premier League record last season, by scoring 100 points in a single season. They are again in the title challenge this year, leading Liverpool by one point with nine matches to go. According to Italian journalist Luigi Guelpa, Guardiola is keen to join Juventus and has agreed to a four-year deal with the Italian giants. "I've learned that Pep Guardiola already has reached a verbal agreement with Juventus for the next four years. It's the same person who told me that Ronaldo was going to Juventus," he stated. The rumour makes sense in many ways. Guardiola has done that before, leaving after winning titles with Barcelona in Spain and Bayern Munich in Germany. Pep Guardiola has won everything there is to win domestically in England. So, him looking for a new challenge, in a league he has not managed before shouldn't come as a surprise to many. Manchester City fans may not agree with the decision but till now only one journalist has broken the news. There is no reason for the fans to panic just yet. Manchester City is still on course for a quadruple this season, having already won the Carabao Cup. They face Swansea City in the FA Cup Quarter Final and are leading Schalke 04 after the first leg in Champions League R16.